IPKO Foundation is delighted to announce the opening of the new round of Next Generation Scholarships for the academic year 2015/16. Since 2009, 124 scholarships were given to merit students from accredited universities, in a total amount of 303,323.00 EUR. Starting from today, April 1st 2015, the seventh round of scholarships, which will support the development of the generation of leaders with a digital vision for Kosovo, is opened. These young and innovative leaders may come from any sector or discipline, but are united in their embrace of technology, the Internet, and the information society. 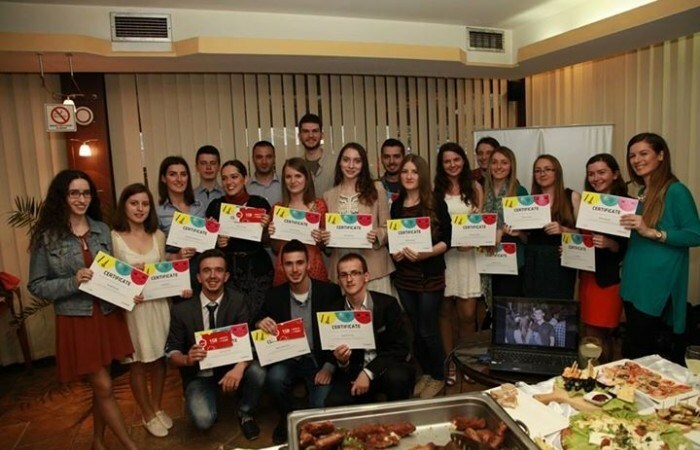 The IPKO Foundation Next Generation Scholarships 2015/2016 are open to students, who are citizens of the Republic of Kosovo, are entering one of their two final years of studies with a GPA of 3.4/8.0, and are involved in digital innovation through course work, volunteer projects, internships, jobs and/or academic projects. Besides tuition awards, IF Scholars will have the opportunity to attend important technology events, network with business leaders and innovators from around the world. IPKO Foundation Scholarship is an invitation to become part of a large community of leaders, creative individuals and successful professionals; it is a ticket to a full swing of opportunities, events, and projects. This year’s scholarship is going to support young people with creativity, drive, and ground-breaking ideas by supporting their education through scholarships, with a budget of 10,000 EUR. Please visit the Next Generation Scholarships under the Programs section above for more information, or click here. Apply NOW and shape your tomorrow!